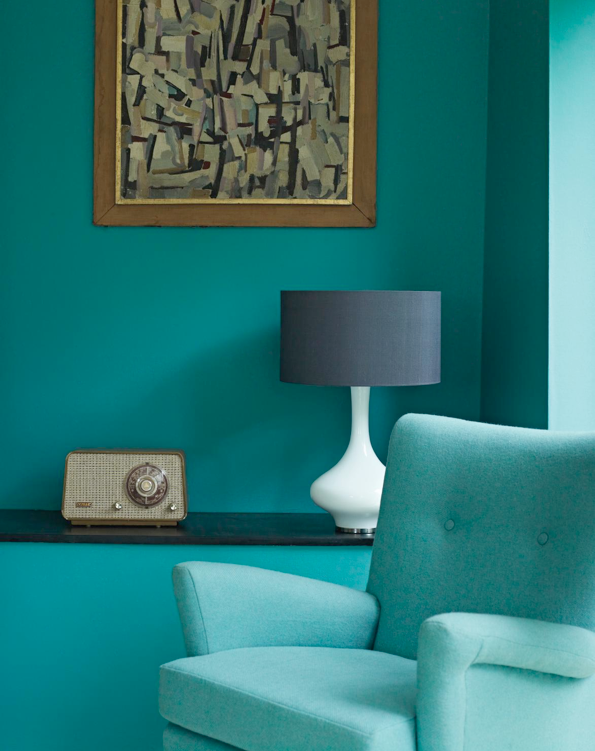 You may remember a recent post on Crown paint’s vintage paint range that was created to celebrate the 60th anniversary of the Festival of Britain? Well, upscale (and ever-so-tempting) brand Fired Earth also created a range of colours to celebrate the historic event. 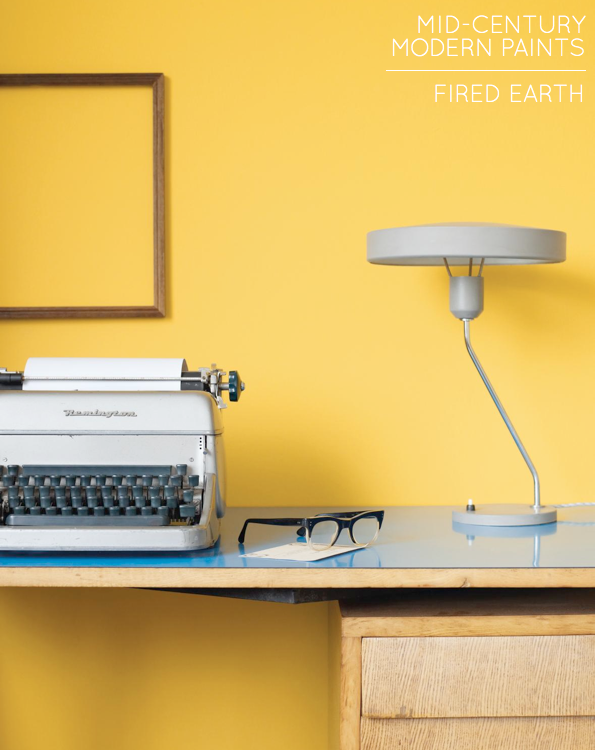 The capusle collection by Kevin McCloud is made up of six bold and optimistic hues that capture the Mid-Century spirit, and I think they are some of Fired Earth’s best colours yet. 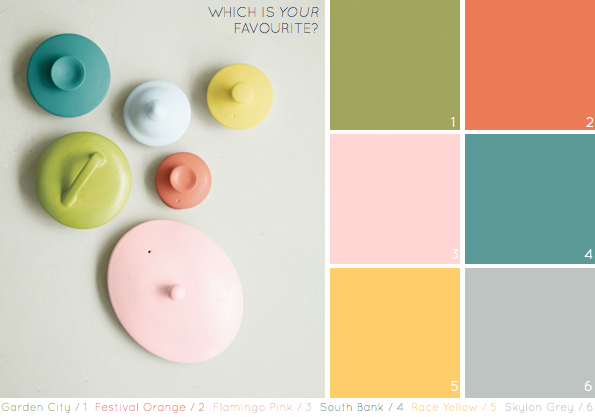 My favourite is Race Yellow (5), closely followed by South Bank (4) – which hue would you decorate with? 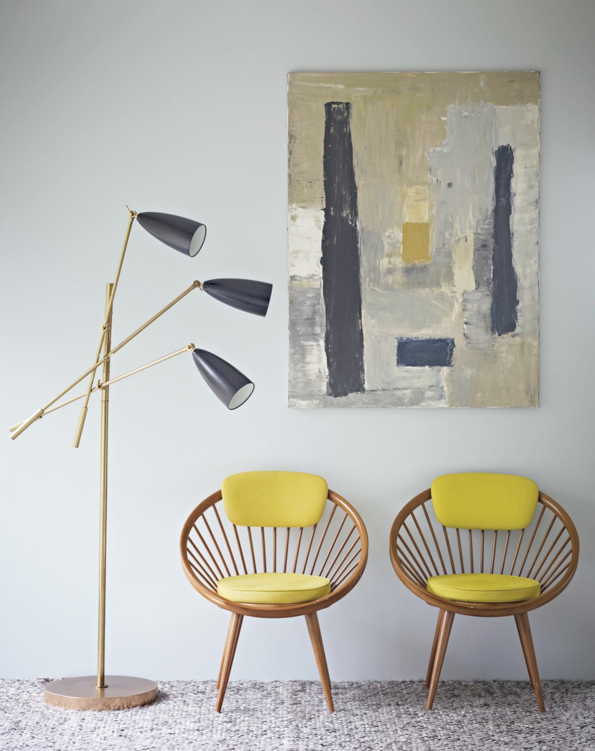 Would have to go with (6) Skylon Grey – there are endless colours that would sit so well with this. It is so diverse! But I really love (4) South Bank for it fun and vibrant vibe! 1, 4, and 6 in the same room, please! Perfection. I would decorate with Skylon Grey(6)followed by South Bank(4). Lovely images! 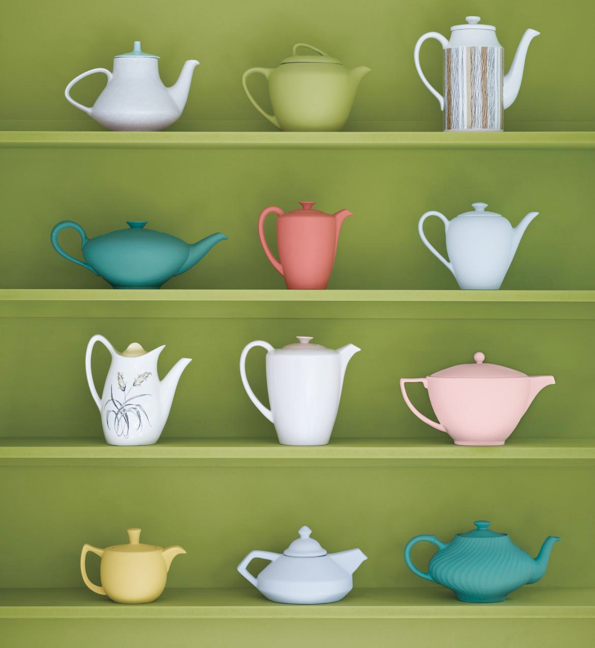 Love the green backdrop with the teapots! I so love all of these, South Bank would be my choice. 1 for my dining room and 3 & 5 together.!!! Like Skylon grey and Southbank and reckon they would look nice tomorrow as well! These are some great colours! gorgeous and loving the saturation! I love living with color. How enchanting are these especially Festival Orange and Race yellow. Its my Caribbean roots, what can i say. Thanks Will, come to Barbados sometime. I love the flamingo pink. It's similar to the shade I'm painting my office! The color palatte here is fantastic. 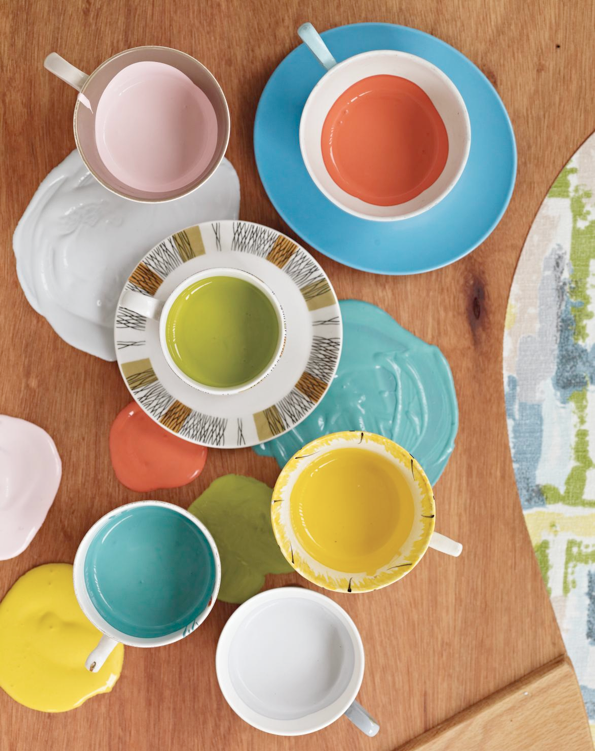 I don't know what I love more….the colors or the color names! Festival orange is a favorite right now. Hi! Where did you find the wooden chairs with the bright yellow cushions? They are so beautiful, and I’ve seen them a few places online, but usually in a post about paint or wallpaper. Do you know who makes the chair? I love that they have minimal upholstery (for my cats to destroy), but still look cheerful and comfy. Beautiful colors! Decided to use these as the main inspiration for our vintage camper renovation! Great post!